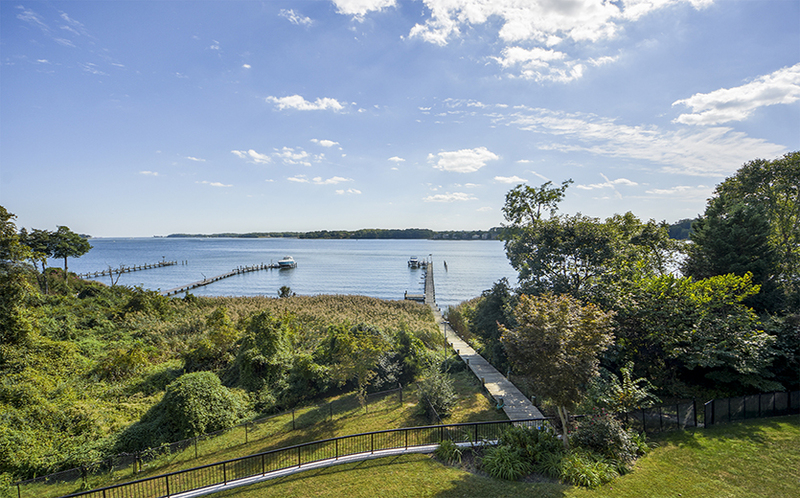 3 Deepwater Court, located in the desirable Poplar Point neighborhood on the South River, is a stunning custom-built waterfront estate. 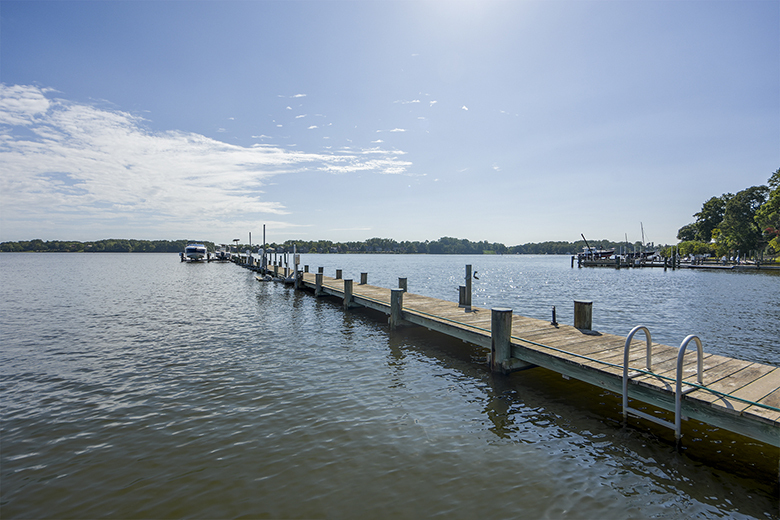 Nestled on a serene cul-du-sac, this captivating retreat has a just re-done waterside pool, a private deep-water pier with multiple boat lifts, and unobstructed views of the South River…all the way to the Chesapeake Bay! 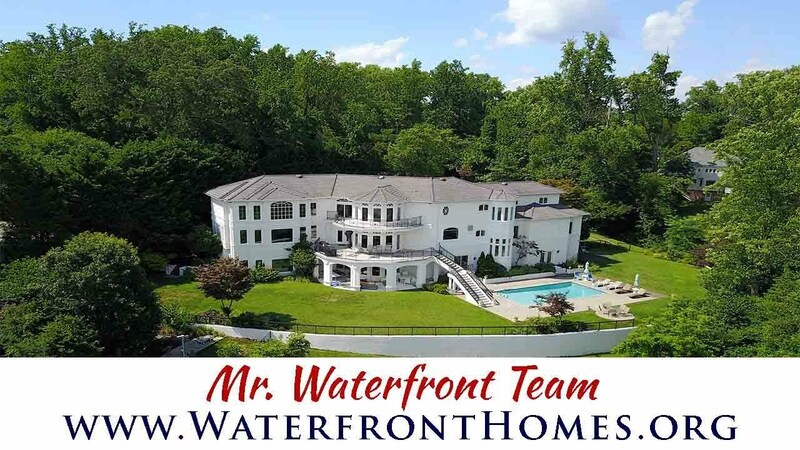 Experience luxurious waterfront living in this contemporary estate home that boasts over 9,500 square feet of living space. 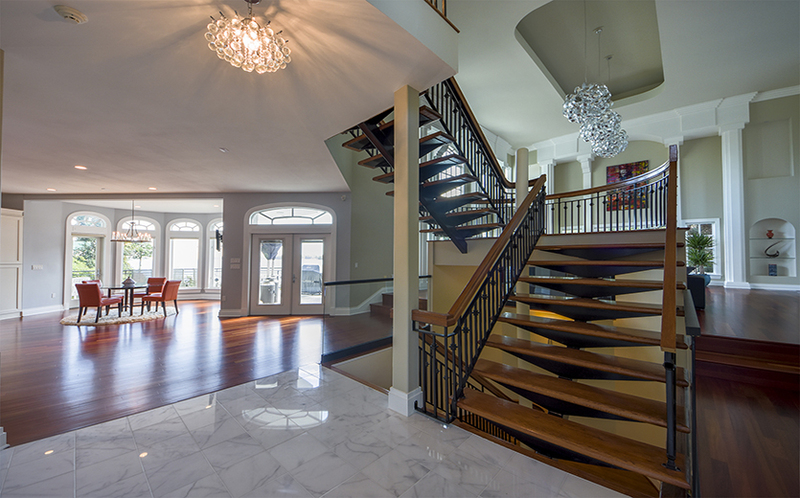 When you step inside, the foyer welcomes you with marble floors, a grand staircase, and an open floor plan. 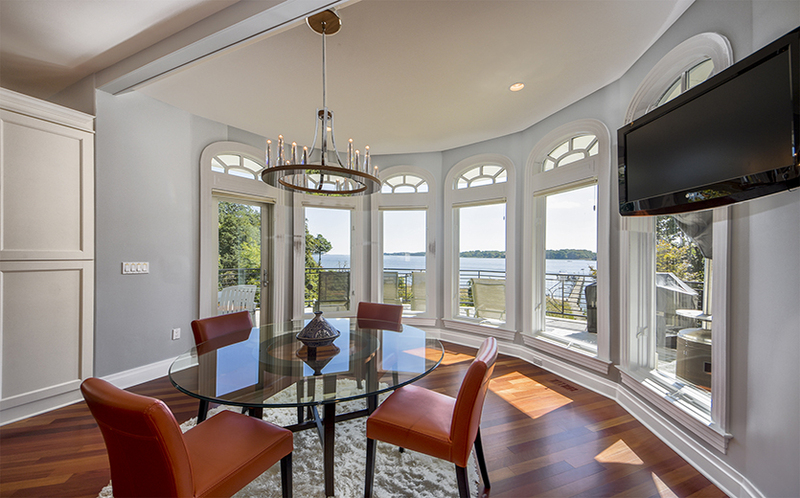 Your gaze is drawn to the floor-to-ceiling windows that showcase panoramic South River views. 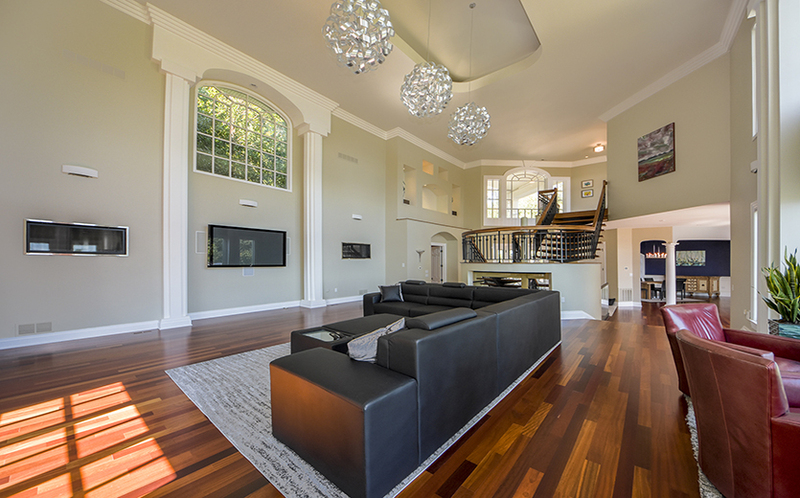 To your right, there is a spectacular living room with a 25-foot high recessed ceiling, 4-piece crown molding, built-in bookshelves, and an incredible wall of windows overlooking the river. 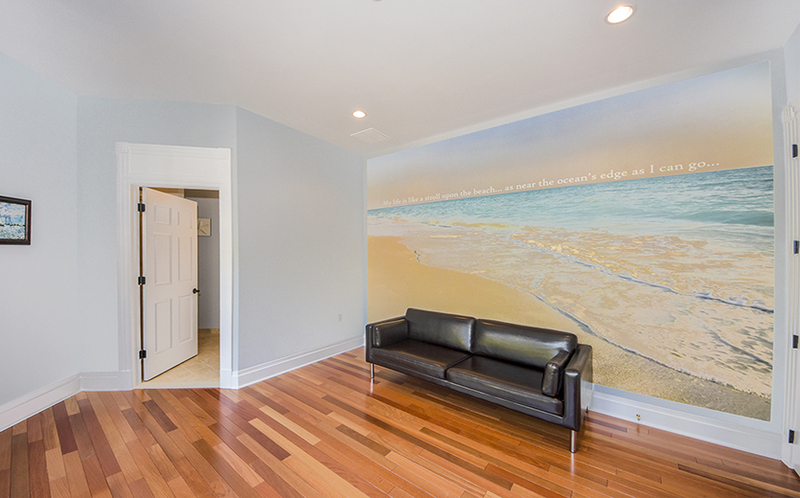 The Brazilian cherry floors are stunning in the space; there’s also two wall-mounted fireplaces and room for fabulous artwork on the walls. 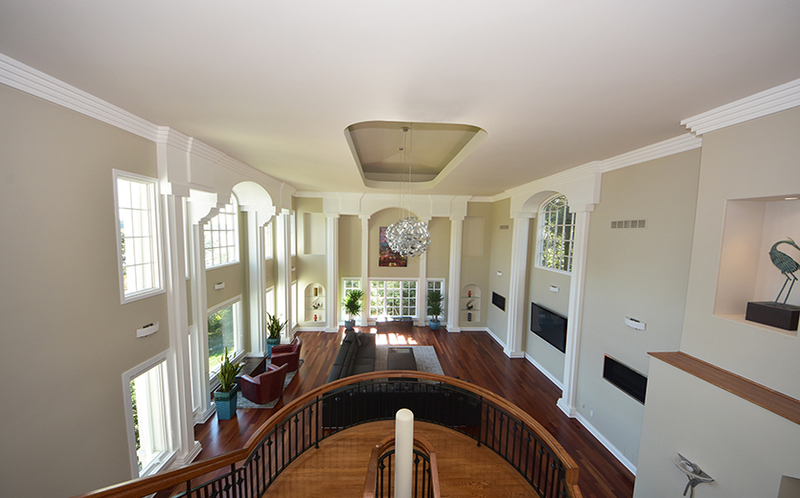 You’ll want to entertain in this magnificent room year-round! 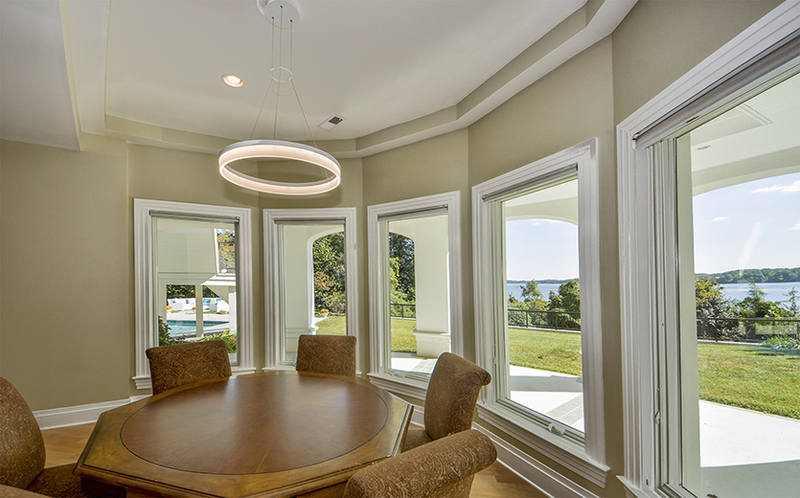 Adjacent to the living room is a deluxe home office with wrap-around windows. 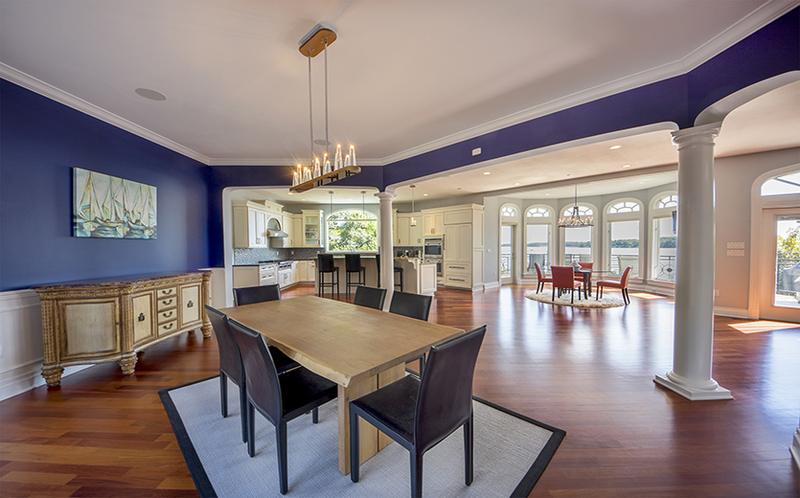 To the left of the foyer, a spacious gourmet kitchen has both formal and informal dining areas. 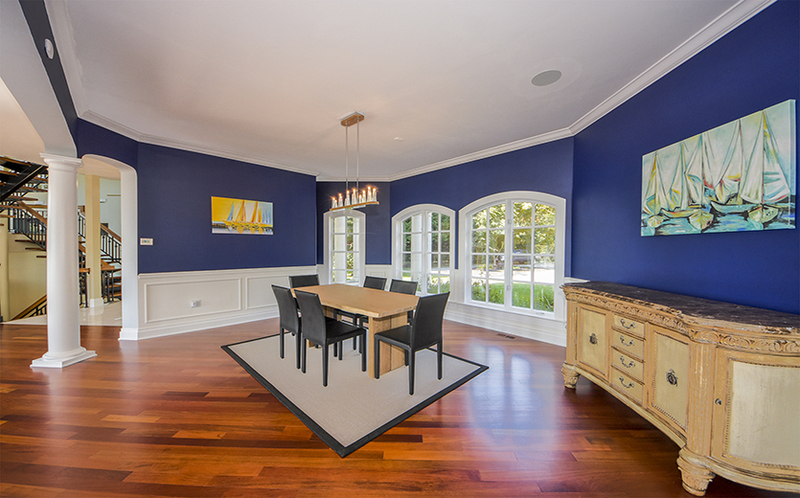 The formal dining area, also with cherry floors, has both garden & water views. The kitchen is a chef’s dream: there are two beautiful tones of granite, a 6-burner gas Wolf cooktop, Wolf double ovens, and a KitchenAid warming drawer. 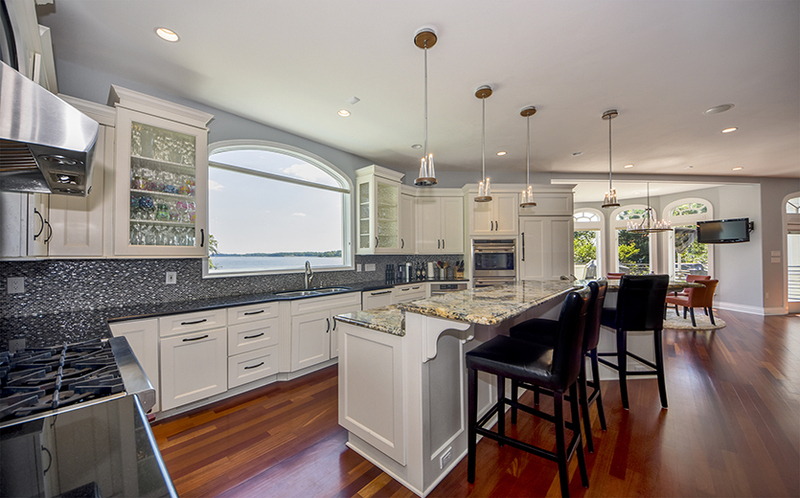 The Sub-Zero refrigerator and KitchenAid dishwasher are concealed by custom white cabinetry. 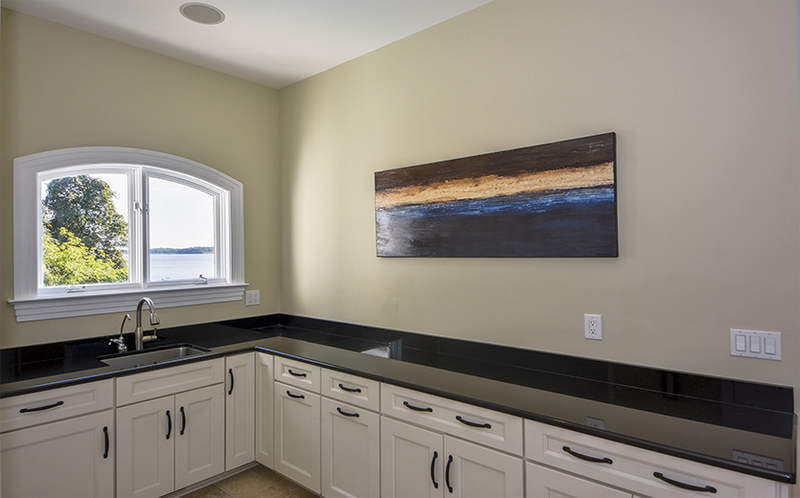 The breakfast bar at the center island faces a large picture window for direct water views. 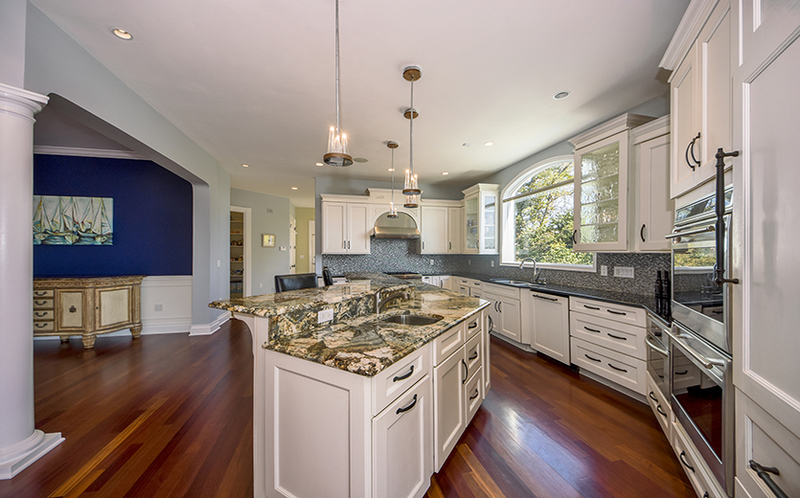 An expansive walk-in pantry and a caterer’s prep kitchen, as well as a powder room, are located just through the kitchen. From the caterer’s kitchen, there’s a second staircase that goes to either the master suite or to the lower level of the house. 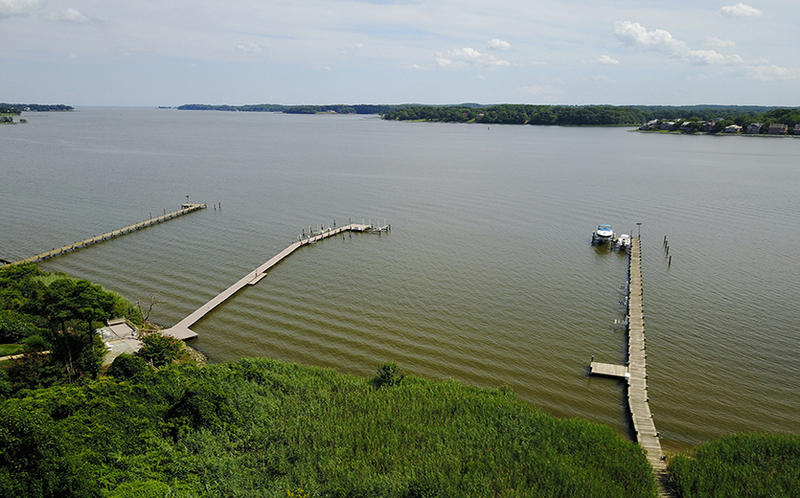 Upstairs is a deluxe master suite that offers panoramic South River views. 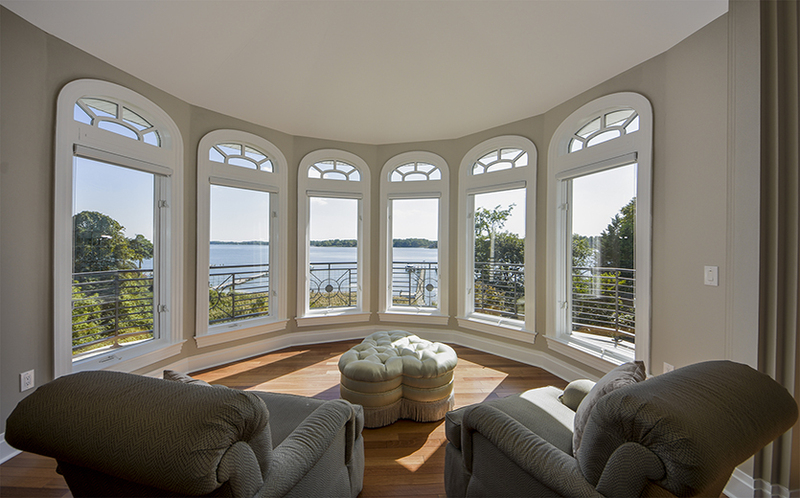 The huge bedroom has two sitting areas, one of which has a bay window with breathtaking water views. 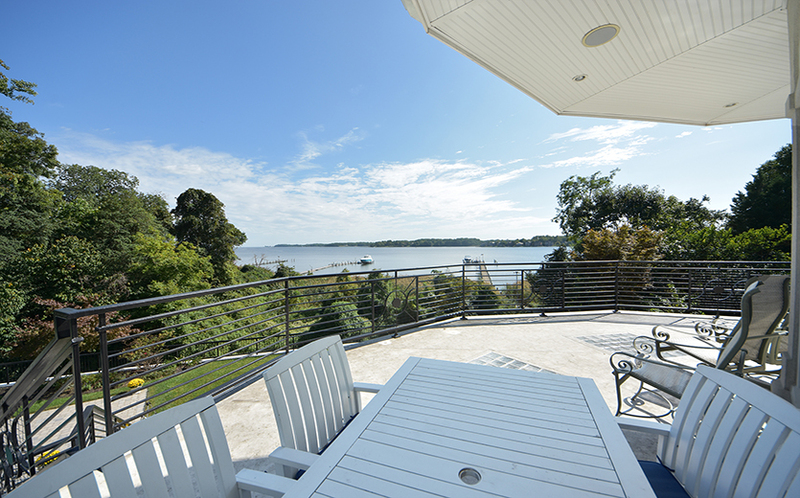 There is also access to a private waterside balcony overlooking the river. 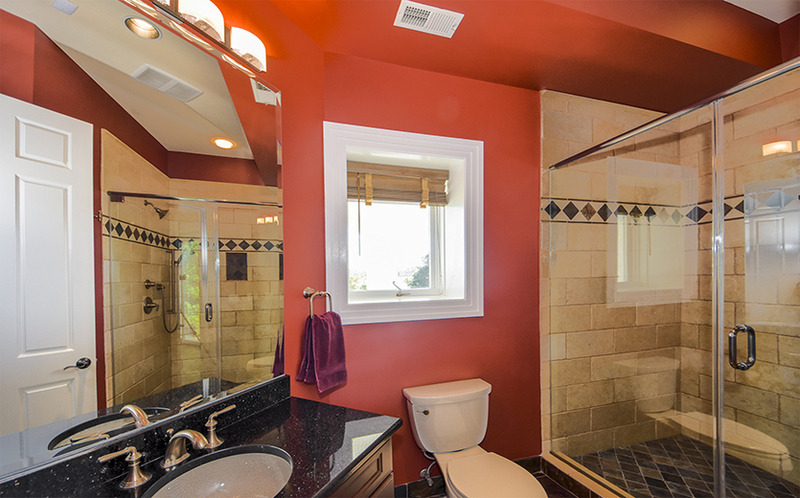 The master bath has his/her vanities, a large soaking tub, and separate shower. 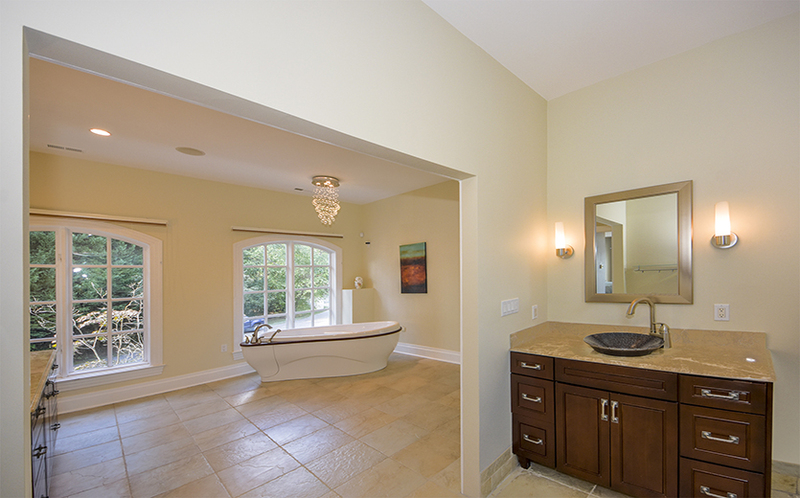 There is also a walk-in closet/dressing room, with laundry, located through the master bath. The second bedroom with en suite bath has garden views. 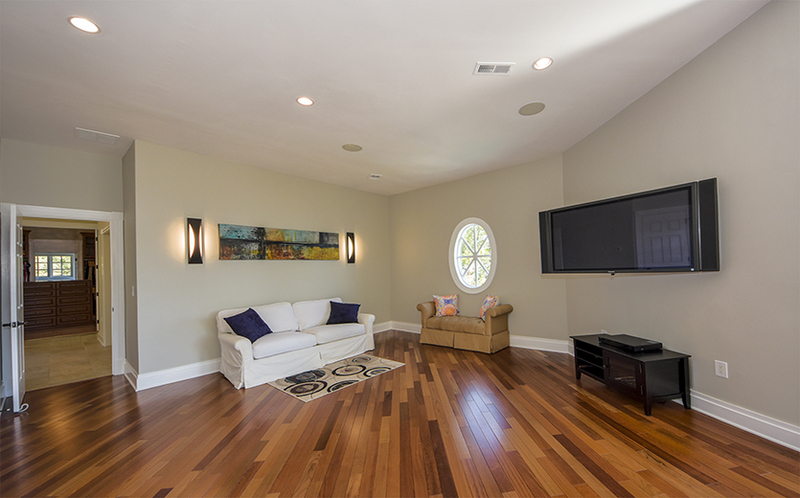 The walk-out, lower level offers multiple entertaining areas that your guests are sure to love. 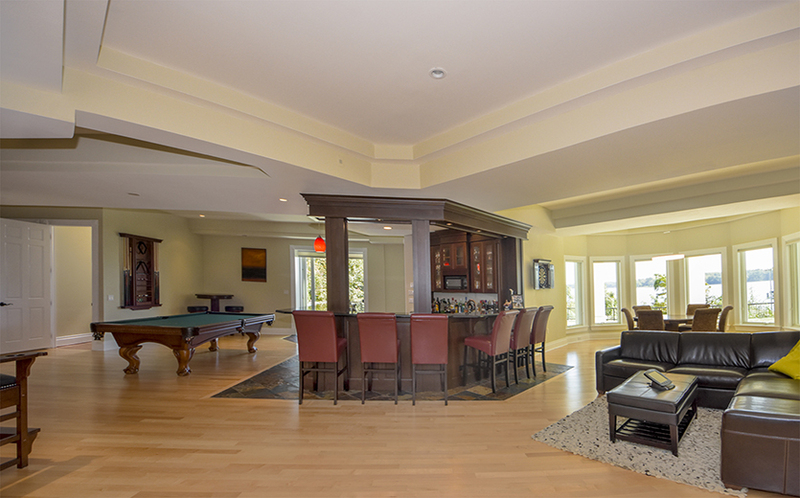 The open floor plan on this level is anchored by a bar with seating for nine. 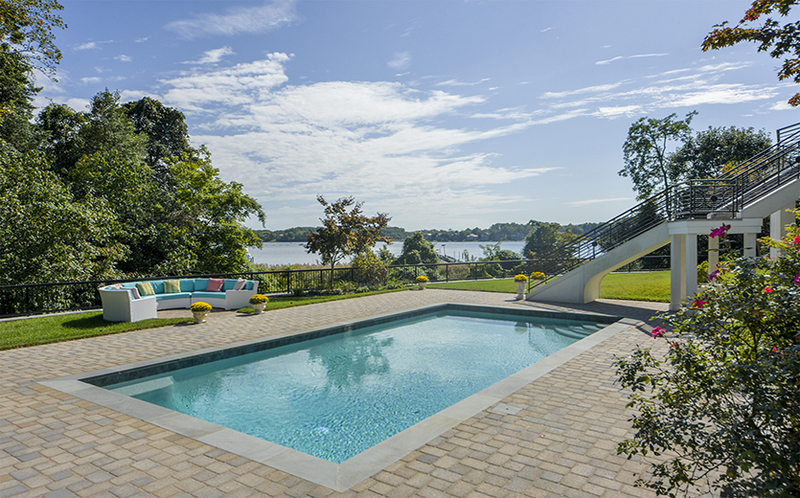 Walls of glass overlook the river and offer direct access to the pool area. 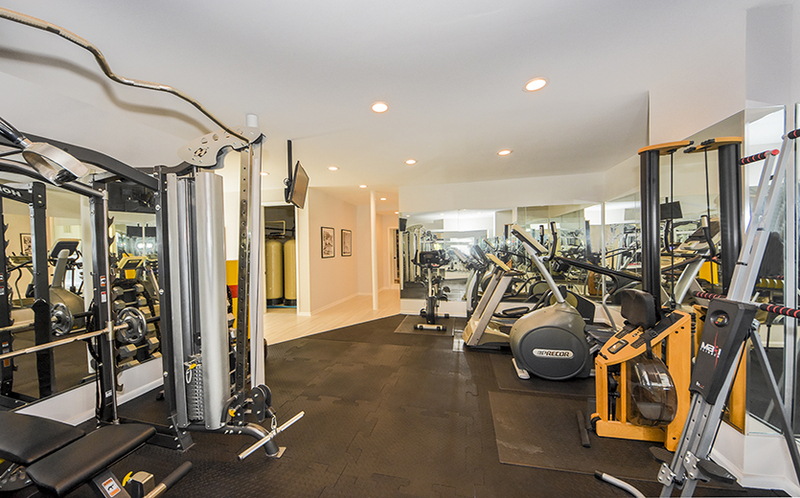 There is also a perfect home gym spot. 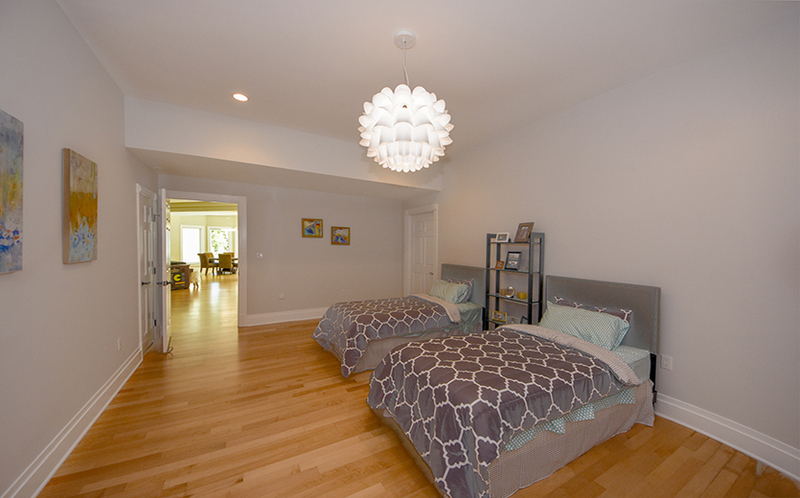 This level includes two spacious bedrooms, one of which has huge water views and an en suite bathroom. 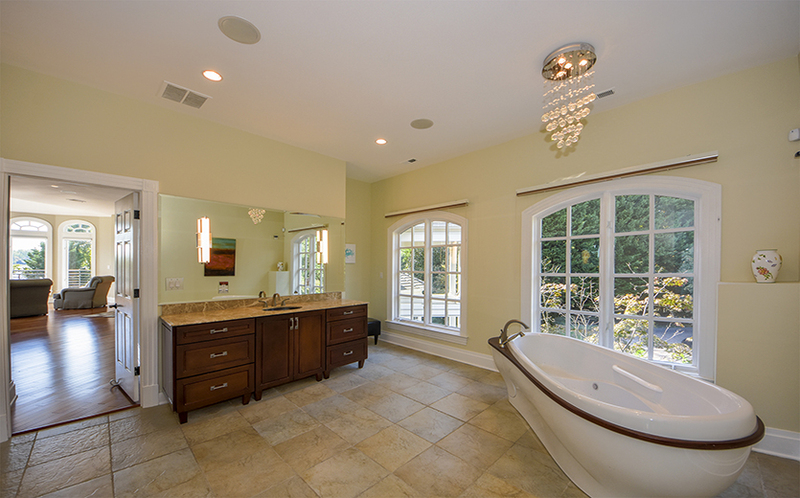 There is a second full bathroom on this level. 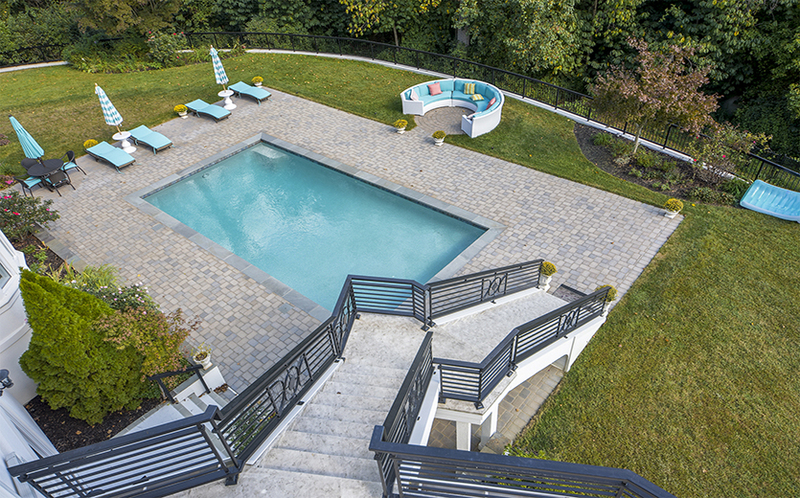 This fabulous home boasts a just re-done waterside pool with paver deck, private deep water dock, more than 200 feet of shoreline, and multiple levels of waterside decking all situated on 1.9 private acres. The modern architecture and open spaces throughout accentuate the abundance of natural light and gorgeous finishes in this home. 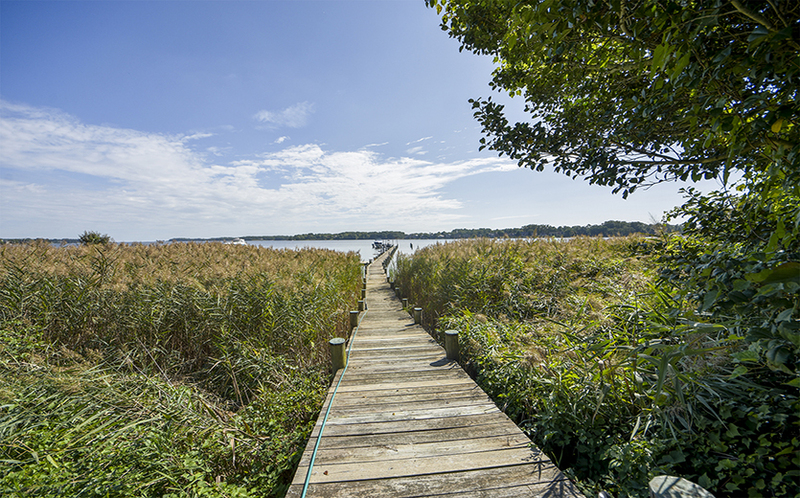 Best of all, the location allows quick access to Routes 50 or 97; it’s also close to shopping and restaurants.